Cover the cost of establishing an Art Therapy Program ($500 benefits 20 children). Provide Smile Kits which include a canvas, paint brushes, paints, and a custom printed head scarf or superhero cape. Offer a therapeutic and creative outlet for children. Spread happiness for children and families on their medical journeys. Rosie donating "Scarf Making Kits" to Susan Ruohonen (Director of Children's Services) and Willow Messier (Art Therapist). 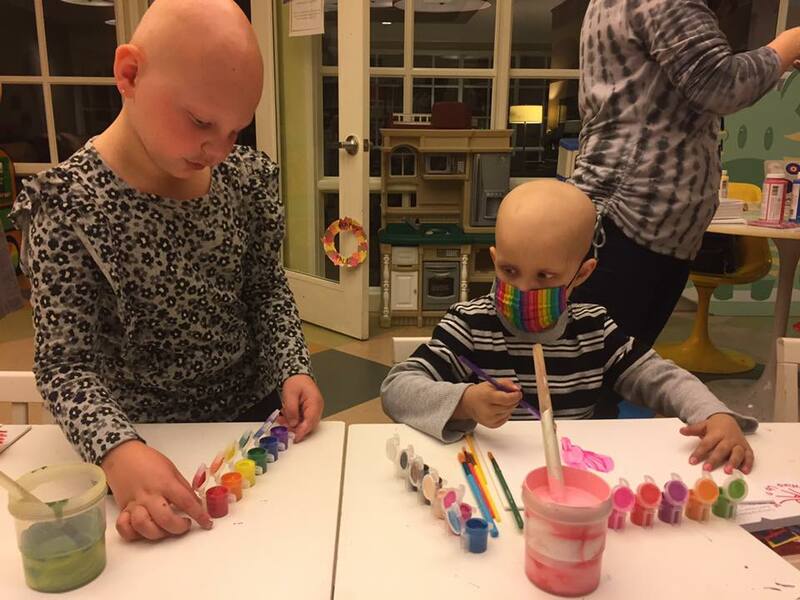 They are responsible for spreading the Coming Up Rosies love at Lurie Children's Hospital!